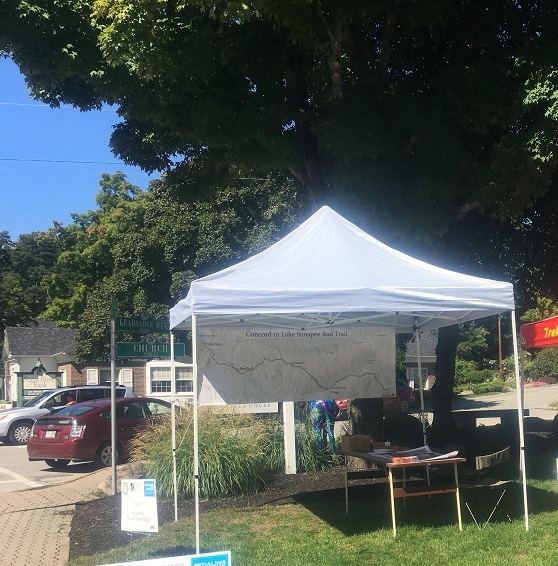 Friends of the Concord-Lake Sunapee Rail Trail will be at the Warner Fall Foliage Festival Oct 6-7 2018. Our booth will be on Schoodacs Coffee & Tea’s front lawn, right in the middle of the action. Come learn about the trail and the many ways you can help this trail grow. Soon you will be able to walk on new sections in Bradford and Contoocook. We are working to bring over two miles of trail to Concord in 2019 along with additional projects. This entry was posted in All Towns on October 2, 2018 by Tim Blagden.